Nobody asked, but that didn’t stop reigning UFC bantamweight champion Ronda Rousey (pictured) from dropping her two cents on the Nevada Athletic Commission’s absurd five-year suspension of Nick Diaz for marijuana. Rousey was in Melbourne Tuesday night to promote her upcoming UFC 193 title tilt against Holly Holm and went on an extended tangent in defense of her buddy Diaz. 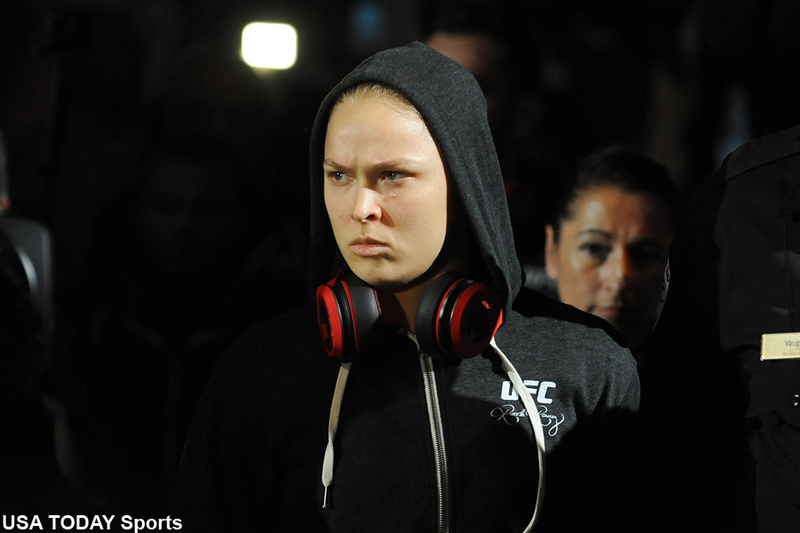 Rousey is among a strong contingent who believe marijuana is not a PED and should not be on the banned substance list. Regardless, five years for weed is far too harsh even if it was the third time Diaz tested positive for the drug in the state on Nevada, especially when you consider Anderson Silva, the man Diaz fought at UFC 183, flunked multiple drug exams for steroids and was only banned one year. There are some who claim marijuana serves as a pain reliever and that’s why it should be considered a banned substance. In addition to his five-year banishment, Diaz was also docked 33 percent of his $500,000 UFC 183 fight purse. Diaz’s attorney, Lucas Middlebrook, said they intend to appeal the NAC’s ruling.